Hardcover, 9.75 x 11.75 in. / 240 pgs / 75 color. Edited by Beverly Adams, Vanessa Davidson. Foreword by James K. Ballinger. Text by Beverly Adams, Vanessa Davidson, Robert Storr, Edward Sullivan. Interview with Diane Halle by Roland Augustine. 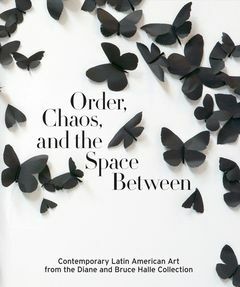 The works in this catalogue are drawn from the Diane and Bruce Halle Collection, one of the most important collections of Latin American art in the U.S. The Halles began collecting art from Latin America in 1995, aiming to educate themselves as well as make a wider public more aware of the remarkable art from this under-recognized region. Among the artists showcased here are Carlos Cruz Diez, Iran do Espíritu Santo, León Ferrari, Gego, Arturo Herrera, Guillermo Kuitco, Wifredo Lam, Helio Oiticia, Iñigo Manglano-Ovalle, Lygia Pape, Mira Schendel and Jesus Rafael Soto. These artists--working on canvas, in sculpture, photography, video and installation--instigated aesthetic currents that have international resonance. FORMAT: Hbk, 9.75 x 11.75 in. / 240 pgs / 75 color. Published by Phoenix Art Museum.